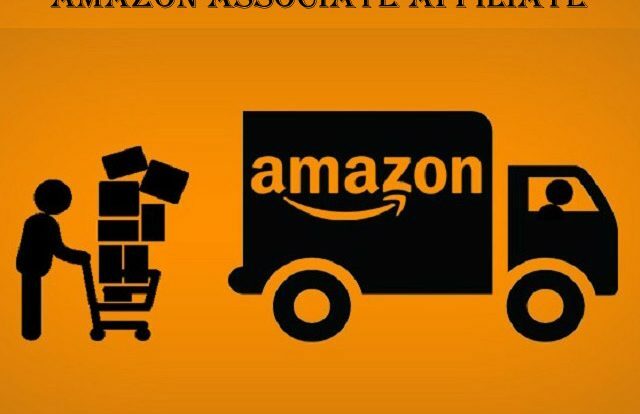 If you’re looking for a complete guide on the Amazon Associates then this article is just for you. Here, we have written a detailed review of Amazon Affiliate Program. But before starting with the review, let us first have a brief understanding of the term CPC, CPM, and CPA. CPC stands for Cost per Click. It is a price paid for each click received in a campaign. For example, If CPC rate is $10 then you will receive $10 for clicks received. CPM stands for Cost per Milestone. Here, the word Milestone refers to 1000 impressions/visits. So, you can also call CPM as Cost per thousand Impression.It is a price paid for every 1000 visits on your campaign. For example, If CPM rate is $10 then you will receive $10 for every 1000 visits. CPA stands for Cost per Action. It is used in Affiliate Program, where you will get paid for every order placed. For example, if CPA rate is 5% then you will receive 5% on every qualifying order. Amazon falls into this category. 1.1 How to set up an Amazon Associates affiliate Account? Amazon Affiliate Program is the largest and most successful affiliate program with more than 9 lakhs members worldwide. It is a CPA (Cost per Action) based affiliate program that pays you for every qualifying order. Of Course, Amazon is now offering CPM ( Cost per Milestone) based ads but currently, they are in beta version and not available to everyone. How to set up an Amazon Associates affiliate Account? It is very easy to create an Amazon Associates Affiliate account. All you need to do is just visit the website and create a new account on it. After creating a new account, Amazon will ask you to update the tax information. Update the same to receive payment from the Amazon. If you only want to give a try to Amazon Affiliate then there is no need for updating the tax information. You can start using the affiliate program immediately without providing any tax information.But, the payment will be released only if the tax information is updated in the worksheet. How to set up an Amazon Associates affiliate Account. Please Note: You need to create a different affiliate account for the different country. If you use the single account for all the countries then your Non-USA users will get redirected to Amazon.Com. Suppose you’re using single US account for all countries. In this case, when a user from India visit your website and click on any of the product then he will get redirect to US-based Amazon website instead of Amazon.in. Amazon is using the country code top-level domain (ccTLD) for different countries. For India, it is using .in domain whereas for the United Kingdom it is using the .uk domain. This is the only reason why you need to create a different account for different countries. Amazon Affiliate supports many different types of advertisements. For example, Product Link Ads, Native Shopping Ads etc. You will find the detailed information in the below paragraph. 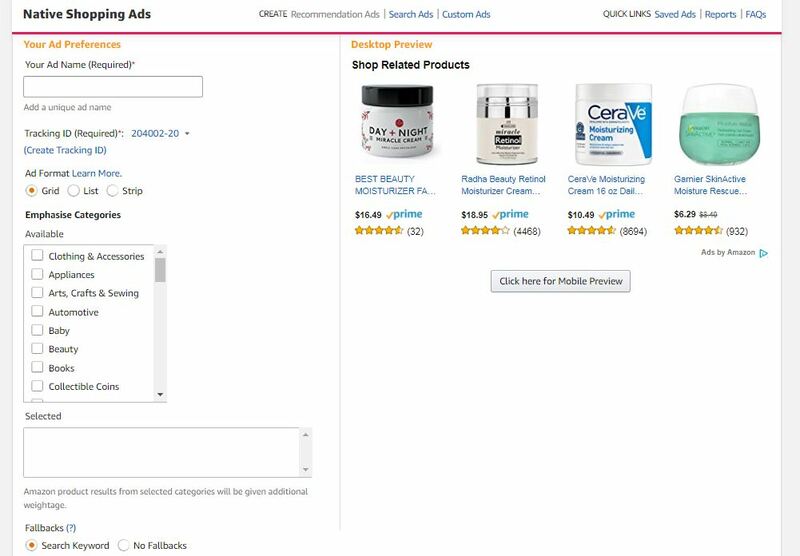 Product Links refer to an ad that links to a specific page from the Amazon. When you click on this type of ads, it will redirect you to the particular product page. As the name suggests it is banner that you would like to display on your site. Of course, many different options are available for selecting the best banner for your website. Different banners for different categories are also available. The above has been created for Best Selling Products. As the name suggests it is a pop-up ad that appears on the bottom of the mobile webpage. It is just like a Page Level Ads on Google AdSense. Please do not use this option if you’re already using Page Level Ads on Google AdSense. This is a new ad type recently launched by the Amazon. Currently, it is available in the US only. For Indian customer is yet to release. As the name suggests it is an ad that seamlessly integrates highly relevant recommendation to a responsive ad unit. In simple language, it is ad unit which suggests product suggestions based on its surrounding content. Please refer the below image for clarification. If you’re using WordPress platform for your website or blog then there is good news for you. Amazon had launched an official plugin for its WordPress customers. You can use this plugin to integrate Amazon products into your site in an easy and attractive ways. You will find this plugin available at this link. We are using Native Shopping Ads on our website and frankly speaking, we’re not very much impressed by it. Though we are having 72 clicks on the ads, our earnings are still stuck at the zero rupees only. This is because Amazon is CPA based platform. You will receive the payment for qualifying order only. To learn more about Amazon Program, please click this link. It will work best for the website or blog that has a huge number of visitors. But we will still suggest this program for all type of users. This is because, unlike Google AdSense, you don’t need to apply for this account and wait for its approval. Amazon Affiliate account can be created within 10 minutes. Now your turn. What do you say? If you had used Amazon Program on your website or blog then please share your feedback. Your feedback will be valuable to others. Further, if you face any problem in creating an account on Amazon then feel free to contact us. We will be happy to help you.